In our busy fast paced lifestyle American families are not paying close attention at the grocery store. We make our list and rush out to shop once a week. But, we are failing to properly read food labels. 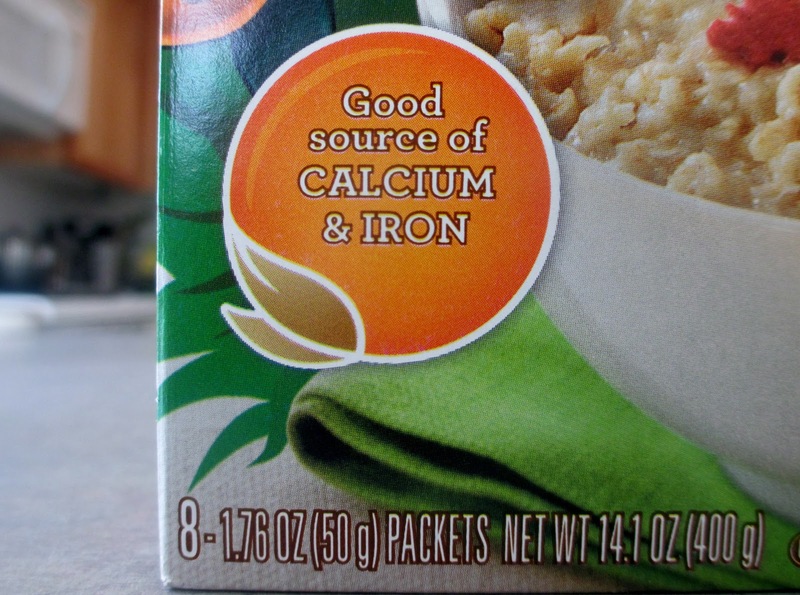 Major brands like Kellogg’s ConAgra Foods, and Quaker use convincing labels declaring their products as healthy. As parents we want the best for our kids. We want them to be happy and healthy. No wonder we fall for gimmicks like these. The colorful and fun packaging is appealing to our kids and we like the convenience of opening a can and heating it up or just grabbing to go. Chances are if you are reading this you have never took the time to really examine the food labels in the grocery store. I have taken 5 popular healthy snack and convenience foods marketed to our kids and revealed what is really in those foods. You must decide whether or not you want to continue to purchase them for your kids. 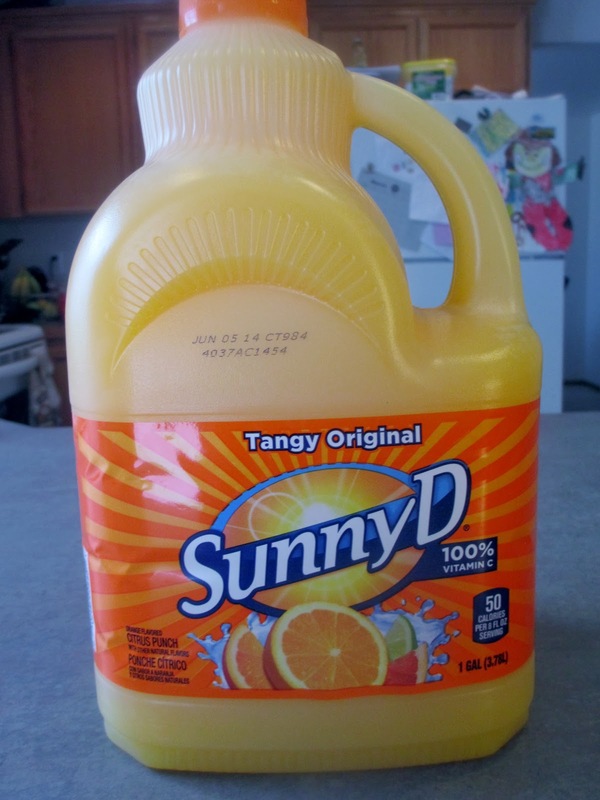 Sunny Delight comes in 15 different flavors and they state that their beverage is packed with vitamins. Busy moms also like the grab and go convenience of this popular sport drink for kids. The size of the packages range from 6.75 oz all the way to a gallon. 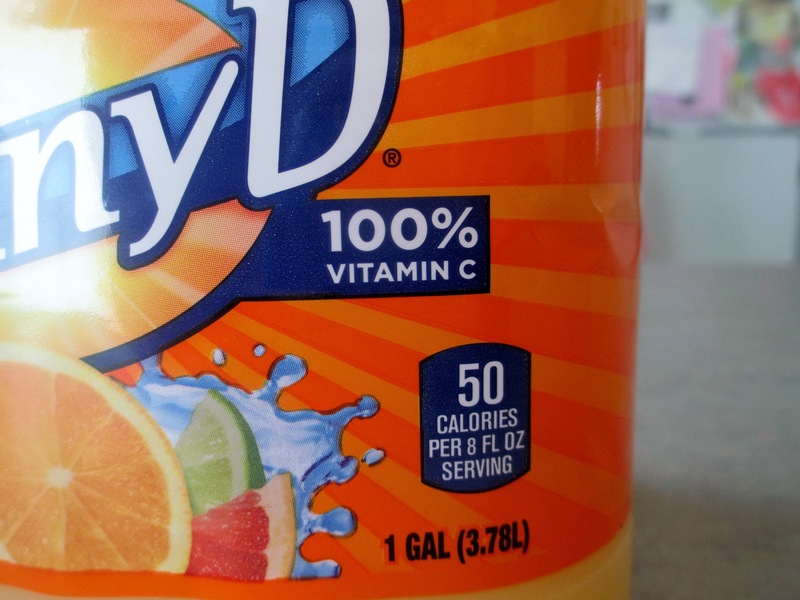 Vitamins and flavors kids love all sounds great, but what else is in Sunny Delight? 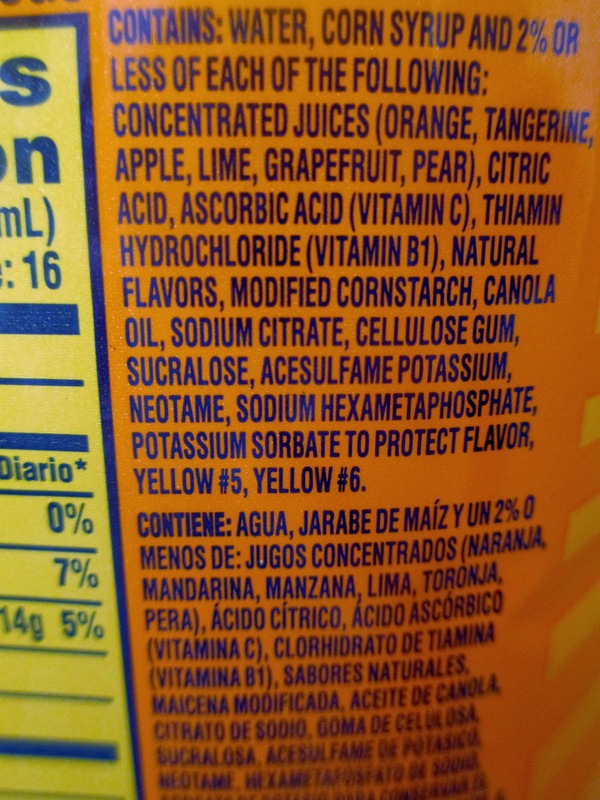 The second ingredient is “corn syrup.” Corn syrup is made from the starch of corn contains varying amounts of maltose and higher oligosaccharides, depending on the grade. Maltose or malt sugar is formed when two units of glucose are bonded together. An oligosaccharide contains a small number of simple sugars. In other words, corn syrup is sugar made from corn. Studies show that too much sugar can have a negative effect on behavior, attention and learning in children. Sugar also promotes sugar highs and children are more sensitive to this than adults. A study was conducted that compared the sugar response in children and adults. The researchers concluded that the adrenaline levels in children remained ten times higher than normal for up to five hours after a test dose of sugar. 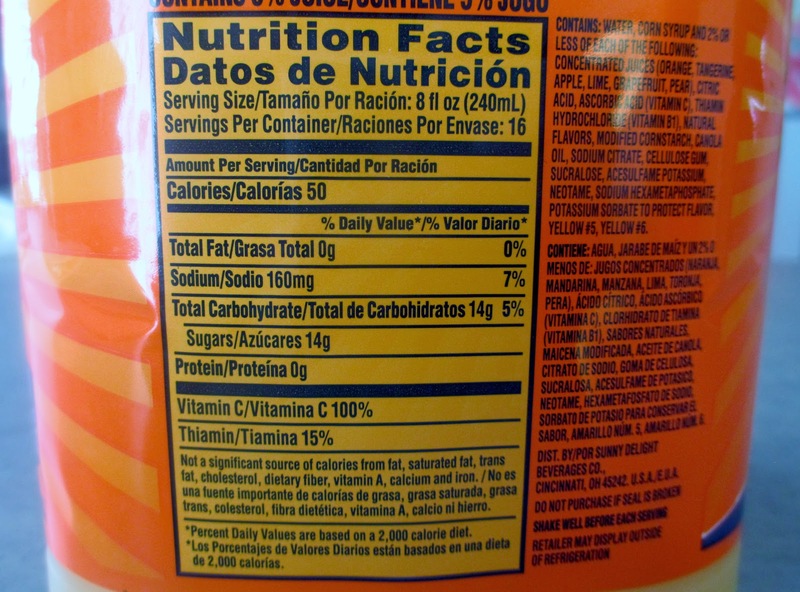 Sunny Delight is Vitamin C fortified, artificially flavored sugar water. Do you want to give that to your kids? At less than a dollar per package, moms love the price and convenience of Snack Pack puddings. They come in popular flavors like chocolate, vanilla and butterscotch and they fit nicely in a lunch box. If your child doesn’t drink enough milk, just give him a Snack Pack pudding because one container contains as much calcium as an 8oz glass of milk. 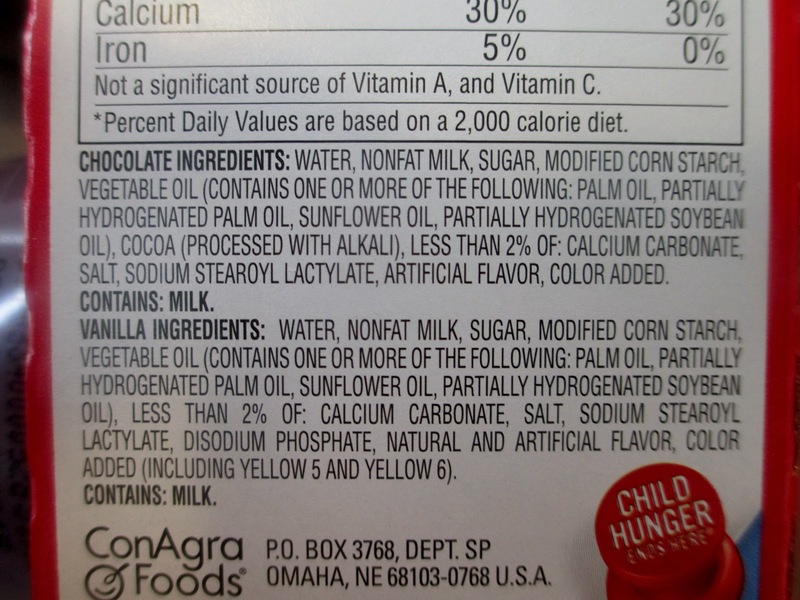 ConAgra Foods is hiding what else is in their pudding in fine print on the back of the package. The third ingredient is sugar and on the third line down it says, “hydrogenated palm oil and partially hydrogenated soybean oil.” If you do not want to give your kids sugar they also have sugar free pudding. But, what is hydrogenated oil? In order to make a hydrogenated oil, scientists take oils that are often healthy in their natural state like, palm, kernel, soybean, corn oil or coconut oil and they heat it anywhere from five hundred to one thousand degrees under several atmospheres of pressure. After that they inject the oil with a metal such a nickel, platinum or even aluminum. The metal bubbles up into the oil and changes it into a solid or semi-solid instead of a liquid. According to naturalnews.com, “The molecules in this new product are now closer to cellulose or plastic than to oil. 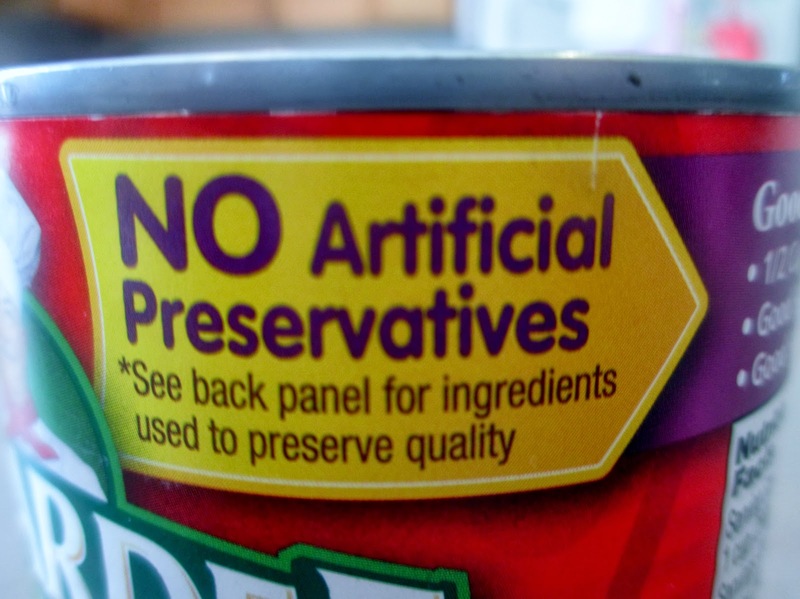 In fact hydrogenated oil is only one molecule away from being plastic. When you eat anything containing this material, just as the oil is now thicker and more viscous (dense), so too does your blood become thicker and more viscous right along with it. The heart now has to work so much harder to pump blood throughout the system. This is one of the major ways that consuming hydrogenated oils contributes to high blood pressure.” Consumption of hydrogenated oil has also been linked with diabetes, coronary disease, and obesity in a wide number of scientific studies. 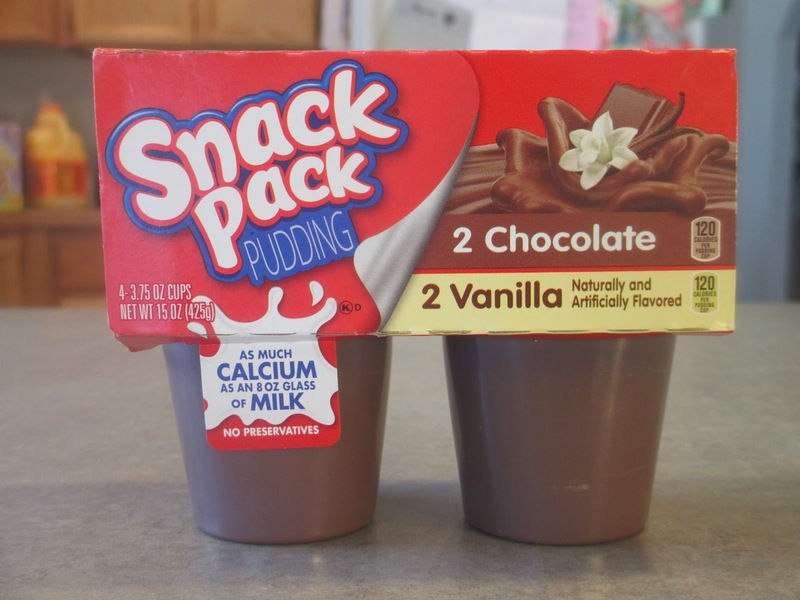 Snack Pack Puddings are just a flavored glass of milk, sugar and hydrogenated oil. Do you want to put that in your child‘s lunch? Kellogg’s Fruit Flavored Snacks boast that they are gluten free and made with real fruit. In 10 packages for just under $3.00, these are handy little snacks you can toss in your child’s lunch or grab and go for car rides. 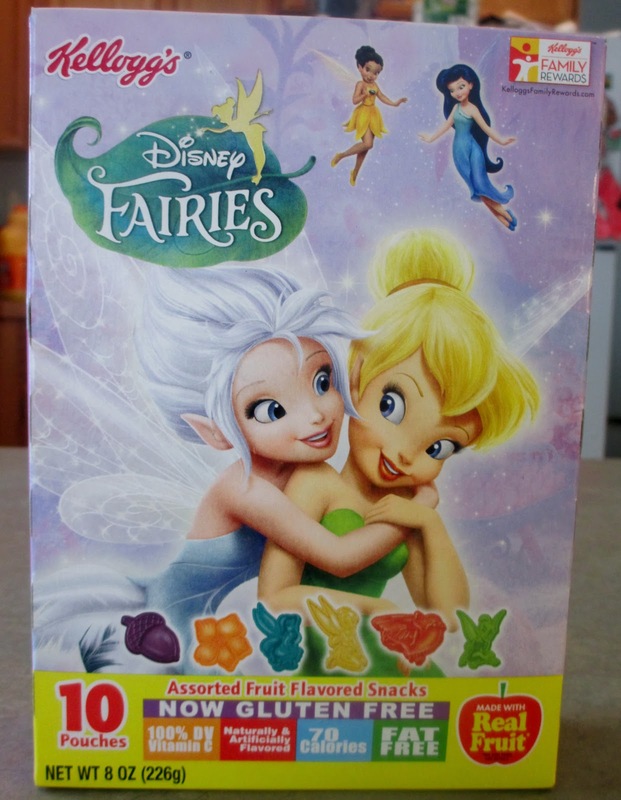 They come in a variety of flavors with fun Disney characters on the front. What is really in these popular fruit snacks? The third ingredient is apple puree concentrate so they are indeed made with real fruit and packed with Vitamin C. However, the first and second ingredients are corn syrup and sugar. In fact, one pouch contains 11 grams of sugar. One gram of sugar is approximately 1/4 a teaspoon by volume. There are 2.75 teaspoons of sugar in each package of fruit snacks. Are you sure you want to take those with you on your next road trip? The next two products are not necessarily considered snack foods, however they are marketed to kids. If your mornings are crazy and you rush your kids out the door in order to get them to school on time, Quaker has a hassle-free healthy breakfast option for your kids. All you need to do is empty the package into a bowl and stir in 1/2 cup of boiling water. 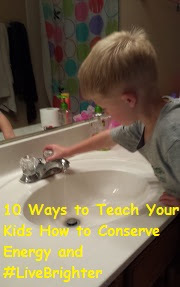 Your kids will love watching the dinosaur eggs “hatch” when covered with water. Dinosaur Eggs Instant Oatmeal is a good source of calcium and iron, is only 190 calories per package, 250mg of sodium and contains only 14g of sugar per package. 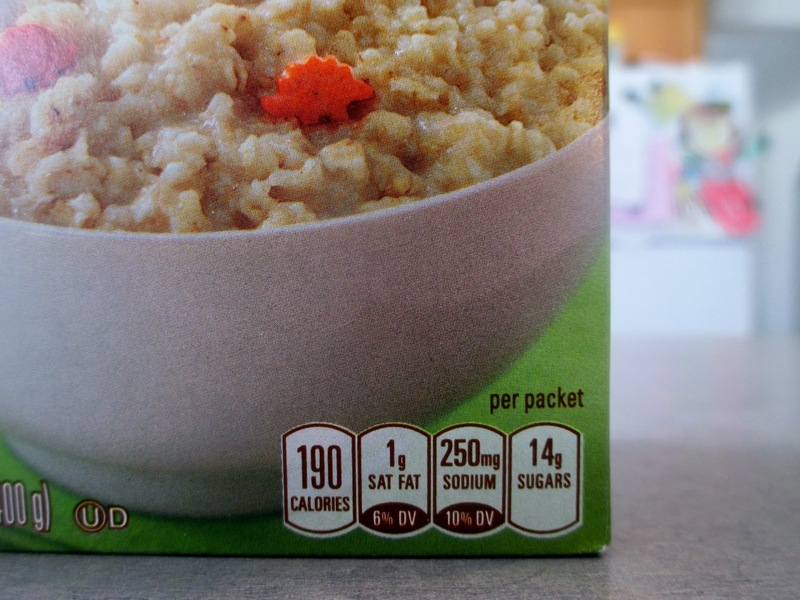 What else is in these tiny little packages of oatmeal? The first two ingredients are whole grain rolled oats and sugar. The dinosaur egg shaped pieces contain sugar, dextrose and partially hydrogenated cottonseed and or soybean oil. Too much sugar is not good for your children as we discussed earlier. One gram of sugar is equal to 1/4 of a teaspoon in volume. 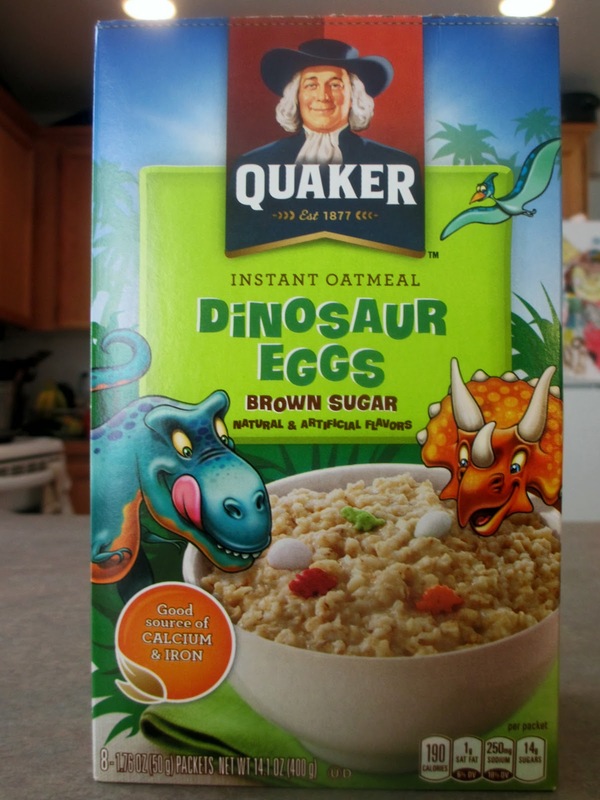 Each package of Dinosaur Eggs is only 1.76 ounces which is also 10.56 teaspoons. 14 grams of sugar is equal to 3.5 teaspoons of sugar by volume. Roughly 30% of the package is sugar. Would you like your kids to have a little bit of oatmeal with their sugar for breakfast? 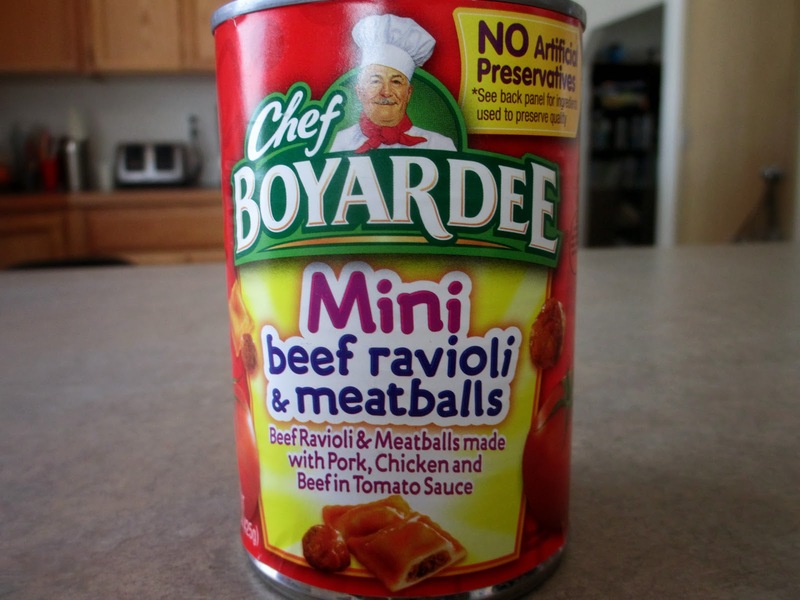 Every kid loves Chef Boyardee and moms love that there are no artificial preservatives, there are 1/2 a cup of vegetables per serving, and they are a good source of 9 vitamins and minerals and protein. All you need to do is open the can, heat and lunch is served. Out of all the foods that I examined, Chef Boyardee is the healthiest. The ingredients are as follows: tomatoes, water, meatballs (pork, dark chicken, mechanically separated chicken, beef, water, crackermeal). Further down the list is high fructose corn syrup which is the only unhealthy ingredient that I found in this product. The vitamins come from the tomatoes and your child gets 10 grams of protein from the meat. A serving size equals 1 cup and there are only 8 grams (2 teaspoons) of sugar per serving. I would feel comfortable feeding this to my 3-year-old for lunch. 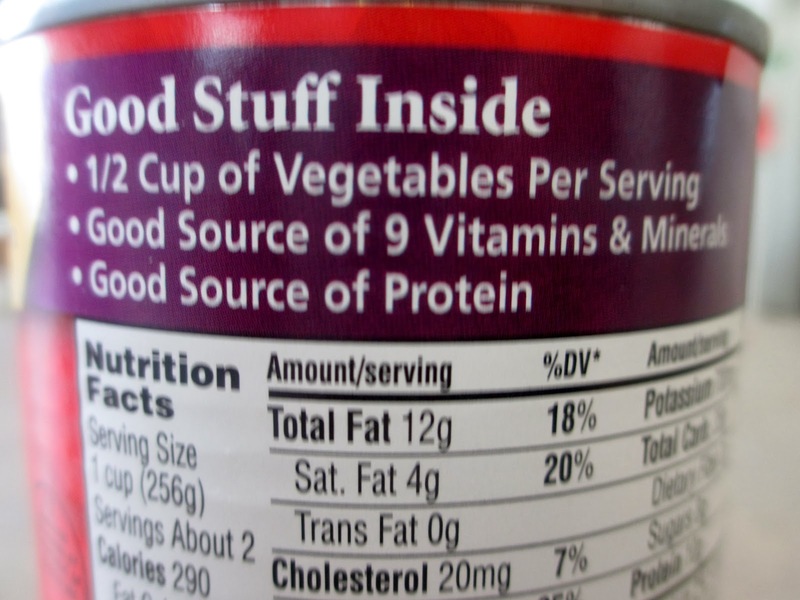 Next time you are at the grocery store take the time to read the food labels before you make your purchase. Avoid foods that contain hydrogenated oil and high fructose corn syrup. Check the sugar content and be certain you understand what the serving size is. Remember that a gram of sugar is equal to 1/4 of a teaspoon by volume. 10 grams of sugar is alright if the serving size is 2 cups but might not be a good idea if the serving size is less than a cup. Saving on your power during summer is key! Direct Energy can help you #LiveBrighter with their technology and tools to help YOU save money on your energy usage. Visit directenergy.com/plenti for more information. This is very enlightening information. Thanks for the eye-opener, Cascia. You’re right, at the grocery store, I know I just run in and out and don’t give much thought to the labels. These big companies do some tricky marketing! I wrote this article a few years back. I hosted a healthy kids twitter chat and we were discussing healthy foods for kids and encouraging them to eat healthy. One woman in the chat thought that Lunchables were healthy snacks. In fact they are not. I thought that there had to be more families that were believing misleading advertising so I must do something about it. I did some research at my local grocery store and produced this article. I hope it helps! Thanks for stopping by, Krystal. Have a fantastic weekend.